Everyone is used to calendars stuck up on the wall or plopped on the desk, giving us a month-by-month or week-by week description of time. Astrologers look for detailed information about the cycles in the skies, and are used to thumbing through ephemerides or date books to find information. Of course, calendars and books are useful, easy to use, but… well, not exactly beautiful. Enter the Cosmic Calendar 2017 by Julie Wilder, available from Etsy. The calendar is arranged in a circle, following the cyclic flow of the year and turning the familiar grid of boxes into a beautiful mandala. At the center of the mandala is the Earth, with a heart within its circle. Moving outwards, we pass through the four seasons and into the wheel of the week with associated chakras and their messages. Next, we enter the signs of the Zodiac. Beyond the signs we come to the planets, and then to the Moon. The Moon is depicted each month moving from new to full and back again, creating an organic flow to the calendar. There are markers for eclipses and planet ingresses into signs, too. And, just in case you miss the more familiar calendar, there is a layer for the Gregorian calendar (or “Artificial Time” as Wilder calls it). If all this seems to be a bit much and you’re worried that it will be confusing, relax. Wilder’s website SpiralSpectrum.com has an easy-to-use guide to the calendar (I’m convinced you’ll figure it out without much help, but the website is pretty neat and you can get a look at the calendar in more detail). So do you need a mandala calendar? Of course you do! Of course, it’s true that the typical calendar will remind you that Tuesday is trash day or that tomorrow is Saturday and you can sleep in. But most calendars virtually ignore the seasons and lunar cycles that are their very basis. Julie Wilder’s Cosmic Calendar helps us to get back in touch with the celestial origins of our timekeeping — the very pulse of the cosmic heart. The Cosmic Calendar is sure to make a great holiday gift for the astrology lover in your life – and if that’s you, so much the better! It’s also great for anyone who wants to become more deeply in touch with the rhythm of our Earth and the Cosmos. Armand Diaz, Ph.D., is a consulting astrologer with a practice based in New York and an international clientele. His books include Integral Astrology: Understanding the Ancient Discipline in the Contemporary World and Transpersonal Astrology, as well as his most recent book, Separating Aspects, on relationship astrology. Armand is the Astrology Hub Book Reviews editor. Thank you SO much for this review! 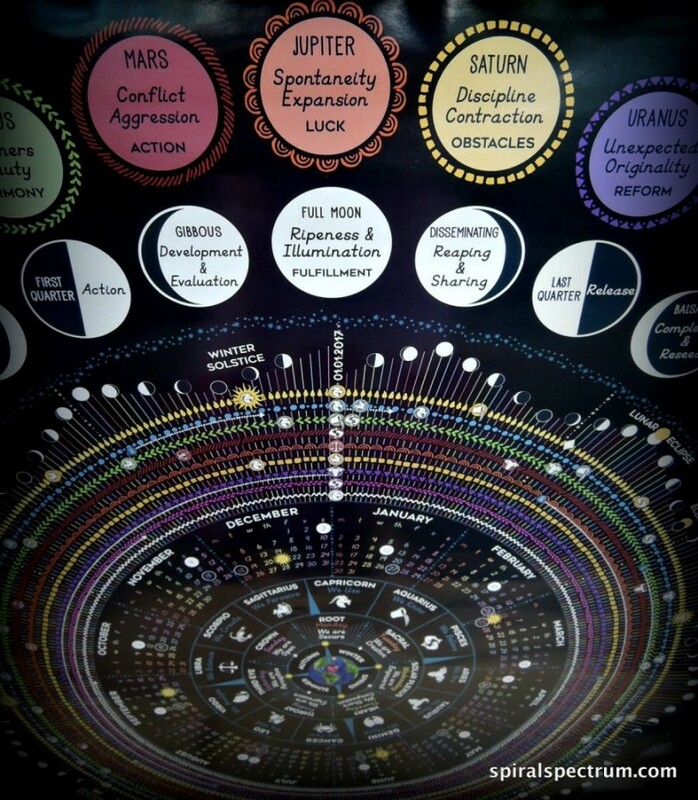 I also have a monthly companion calendar (https://spiralspectrum.com/welcome/mystic-moon-coloring-calendar/) that actually teaches people how to read and ephemeris and make their own transit charts. I still can’t believe that a simple idea to teach my three year old about the wheel of time has transformed into such a design & it’s been so warmly received. when will 2018 be available for purchase pls? What an amazingly beautiful and practical calendar. 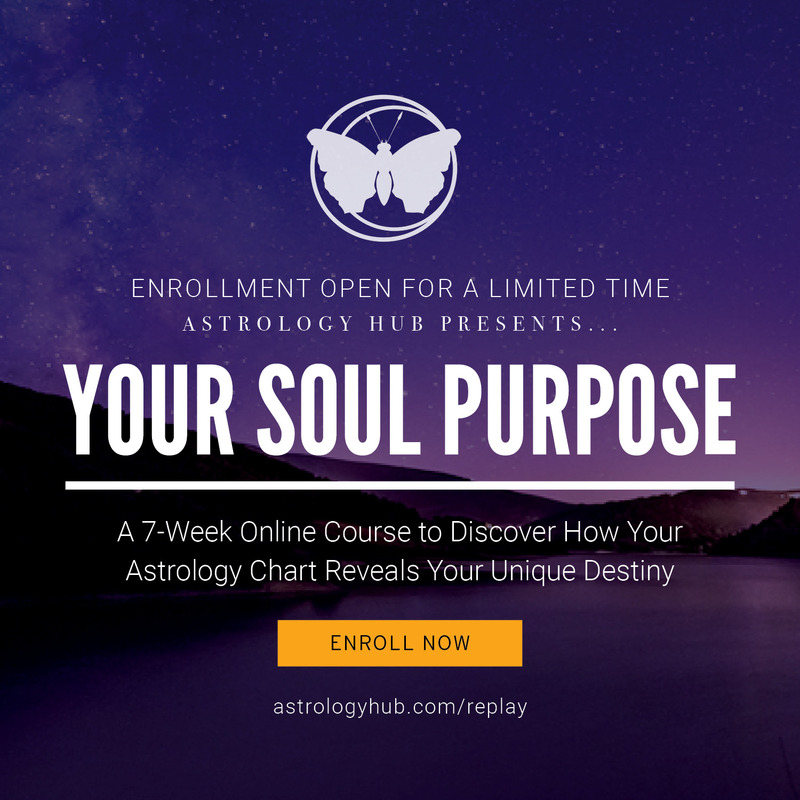 I am speaking all month about this very topic – the way time moves – in a spiral fashion – and how number, sacred geometry, astrology, psychiatry and the mandala are all expressions that we fall in love with to help us recognize the One. Form and pattern is the only thing our senses actually perceive and Julia, you have an exquisite sense of graceful proportions. I only hope you continue to make these calendars for many years to come. I am ordering for my home and office / teaching space!